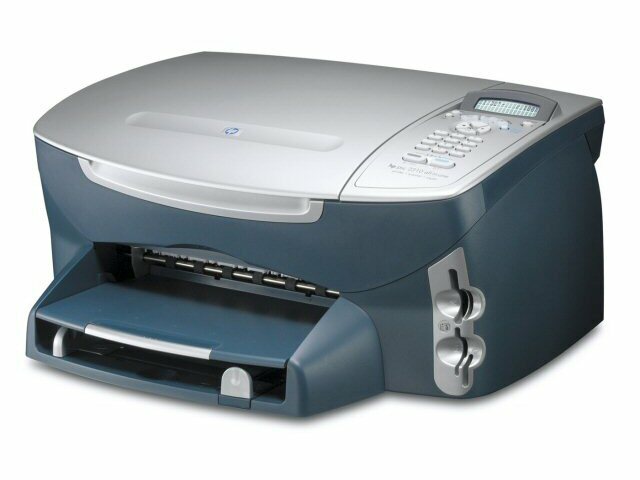 The HP PSC 2310 is a printer which has been expertly crafted and there is plenty to be said about this intriguing item. The process of finding the perfect printer for your specific requirements shouldn't be a daunting task as long as you know what choices are available to you. The HP PSC 2310 has plenty to offer in terms of advantages, so here is a brief review of the finer features of this particular printer. The HP PSC 2310 is a rather compact number, one which will fit nicely into a wide variety of spaces. A plain, unassuming colour scheme finish off this item and the user interface is also fairly simple to operate, making it a very accessible item. It might not win any awards for innovation, but there are plenty of benefits to owning an HP PSC 2310. Some of the perks which might impress a prospective HP PSC 2310 owner are speedy results, quality print outs and straight forward physical set up. Printing shouldn't be a challenge, and with the HP PSC 2310, it's as simple as it should be. Finding fault with any printer can seem a tad harsh in truth, but thankfully there is not much to complain about where the HP PSC 2310 is concerned. The printer provides value for money, it is easy to maintain and can produce some very pleasing print outs. It's hard working to boot, something which is certainly impressive considering the size and price of the HP PSC 2310.